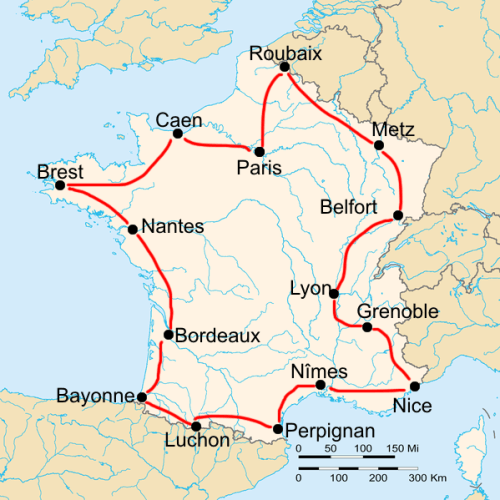 The “Circle of Death” is the hardest Tour de France stage in the Pyrenees. It is a place where the Tour is often won and lost. 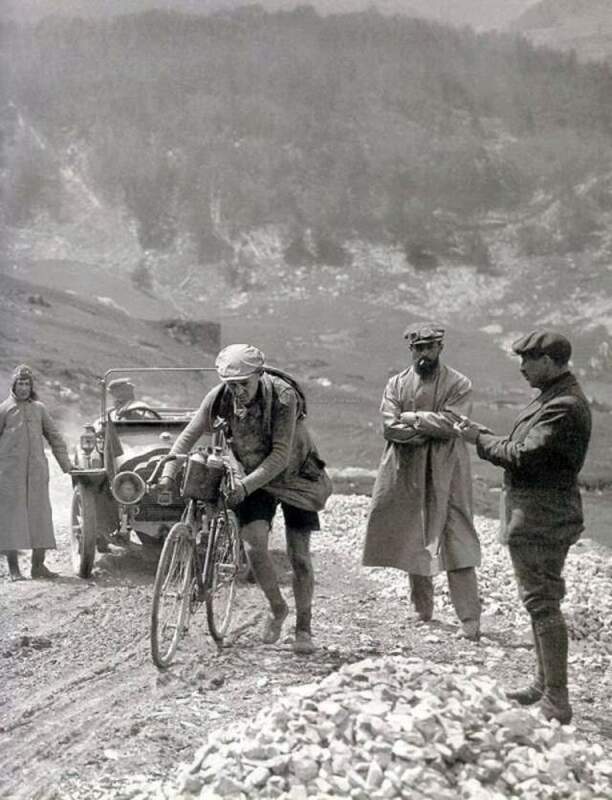 In modern times it has been the 200 km from Luchon to Pau or vise versa. 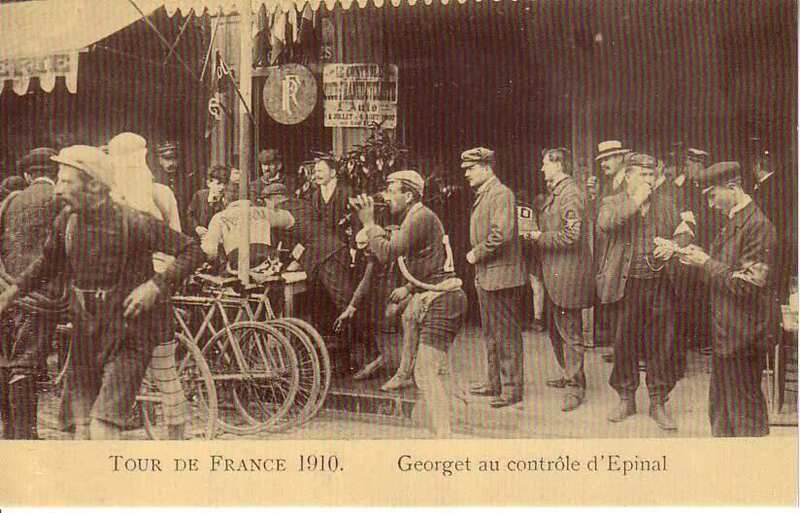 In 1910 it was the start of 326 km from Luchon to Bayonne. 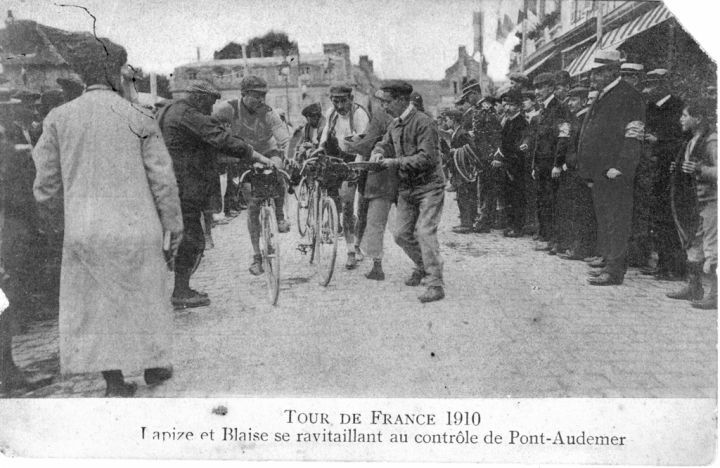 The Tour de France first came to the high mountains in 1910. 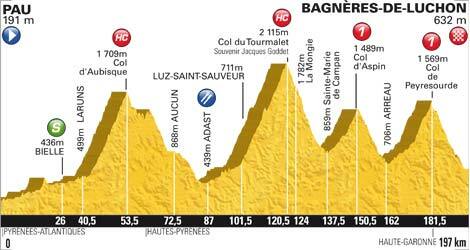 Stage ten in that year included five brutal climbs. The first ever Tour climbs of the Col de Peyresourde, Col d’Aspin, Col du Tourmalet, Col du Soulor and Col d’Aubisque. Journalists wrote of the routes into the wilderness of the Pyrenees as “dangerous” and “bizarre”. Tour director Henri Desgrange ramped up the anticipation for months in his newspaper l’Auto and the French public eagerly awaited the reports from the mountains. Francois Faber held the race lead from stage 2. A tremendous duel evolved with his teammate, Octave Lapize. Desgrange elevated the excitement everyday through articles in L’Auto. Nobody knew what to expect as the race headed into the wild mountains. There were riders who refused to start the stage as the organisers of Le Tour had made no provision to protect them from bears. 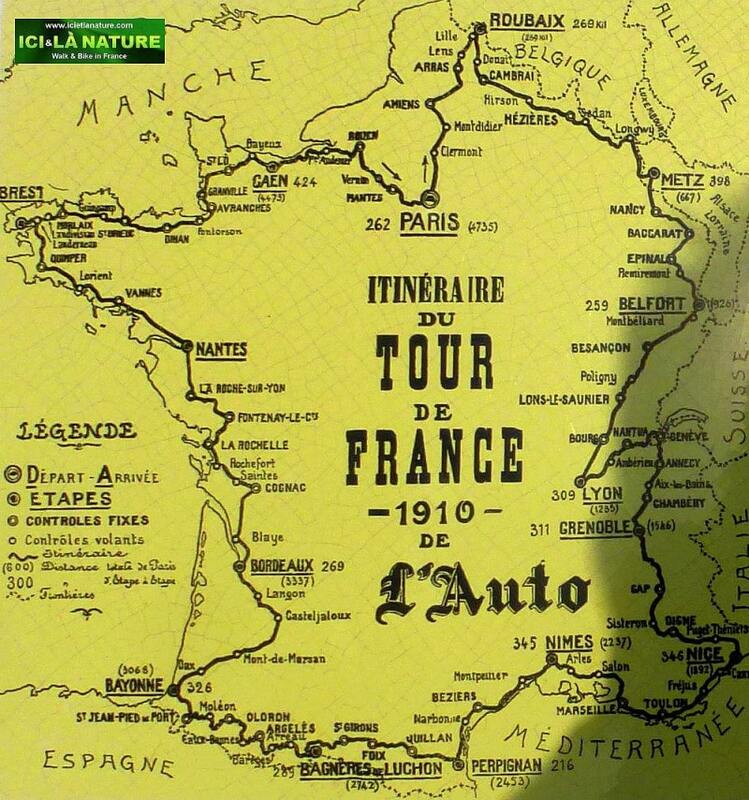 This was much to the delight of race director Desgrange and his sponsoring newspaper L’Auto. 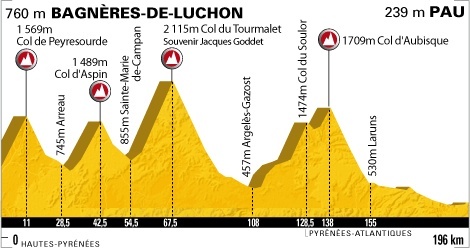 The stage started from Bagneres-de-Luchon at 03:30 on July 21st, 1910. It was a very hot day in the south of France. 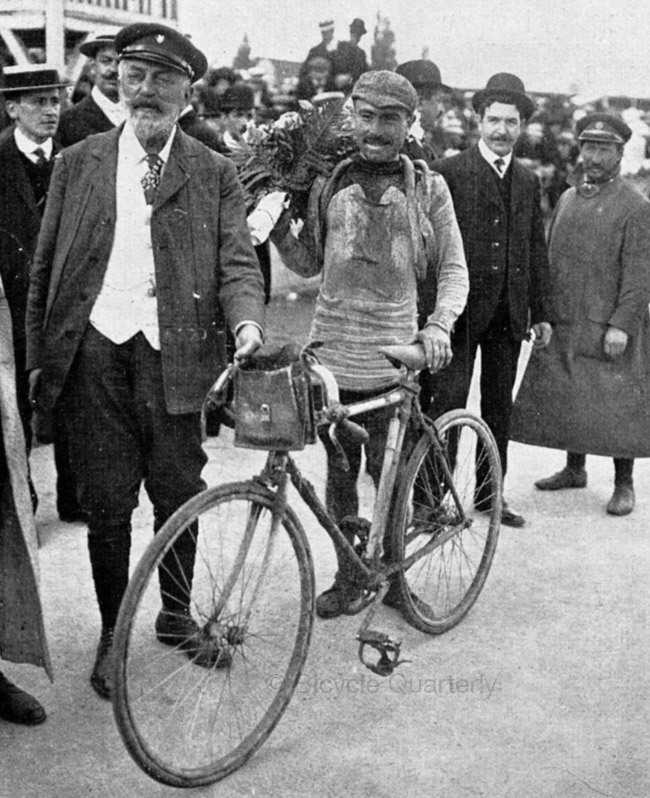 Only one rider, Gustave Garrigou, was able to conquer Col du Tourmalet without dismounting his bike. For which he received a prize of 100 francs. There was no tarmac on the cols, just rough gravel and rocks. 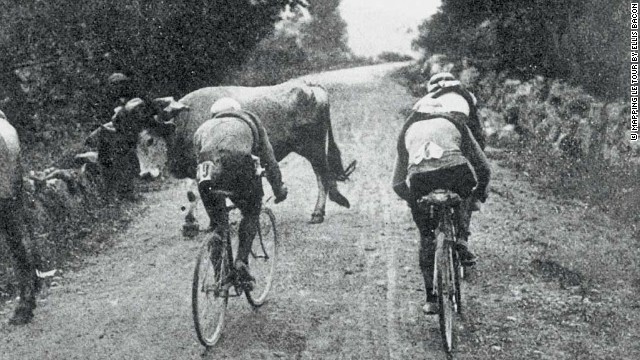 Race officials were anxiously waiting at the top of Col d’Aubisque, to see if any rider could make it over the five cols. As the day wore on they became more and more anxious. Perhaps the bears and vultures were feasting on exhausted riders. Perhaps they really had made a massive misjudgment. Eventually, local rider Francois Lafourcade was the first rider to pass. He did so with his head down in silence. 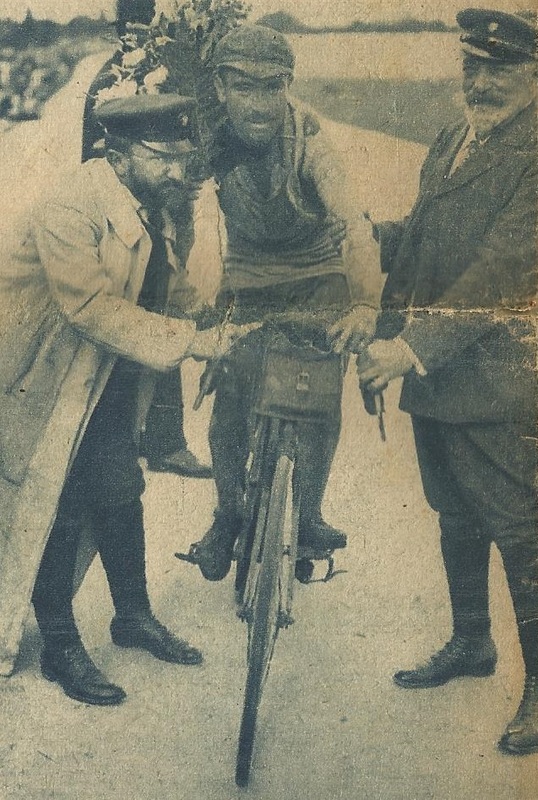 Fifteen minutes after Lafourcade, the second rider, Octave Lapize, appeared in great distress and rage, pushing his bike. 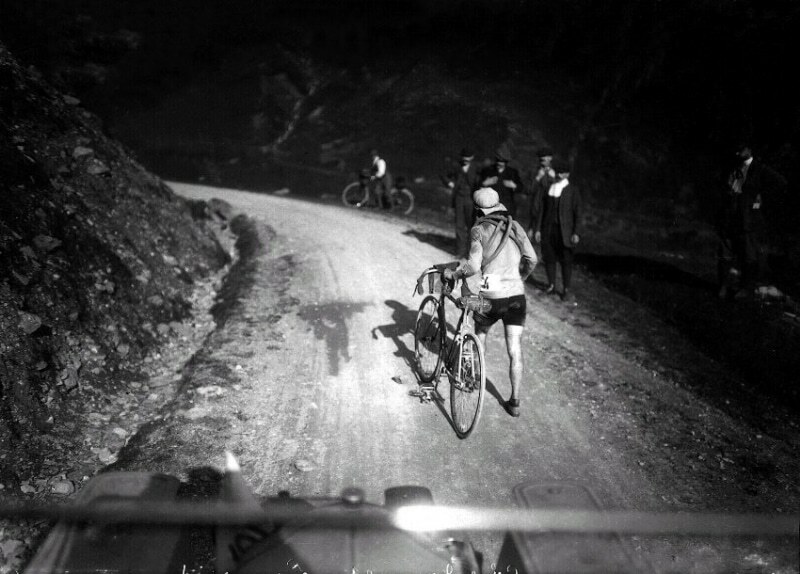 A climbing specialist he had pedaled, walked, stumbled and cursed his way up the climbs. Upon reaching the top Lapize angrily eyeballed the race officials. As he passed he bawled at them, “Vous êtes des assassins! Oui, des assassins” (“You are murderers! Yes, murderers!”). 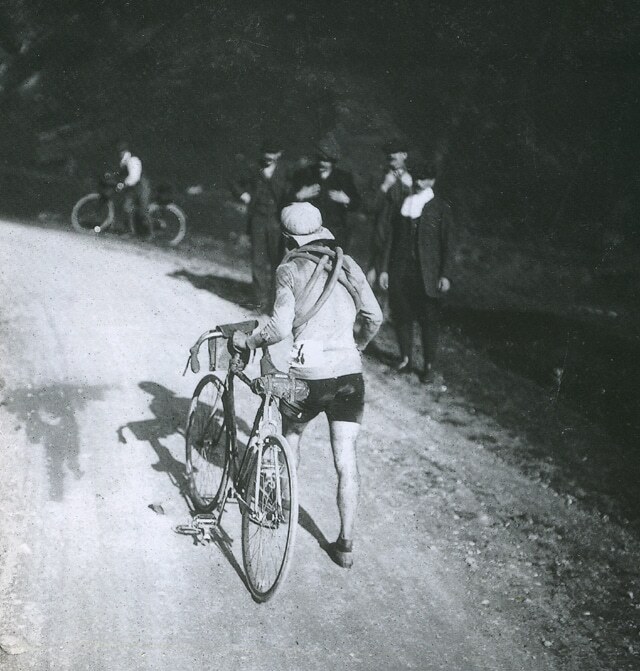 He threatened to quit the race in Eaux-Bonnes at the bottom of the descent. Clearly, his humour improved as he descended, as he rode through Eaux-Bonnes. There was still 160 km and another climb, col d’Osquich, before the finish in Bayonne. Lapize caught and passed Lafourcade on the way into Bayonne, and won the stage. Still the minutes passed. Another quarter-hour passed before the second rider appeared, whom we immediately recognized as Lapize. Unlike Lafourcade, Lapize was walking, half leaning on, half pushing his machine. His eyes revealed an intense distress. But unlike his predecessor, Lapize spoke, and in abundance. “Vous êtes des assassins! Oui, des assassins”. To discuss matters with a man in this condition would have been cruel and stupid. I walked at his side, attentive to all he said. After more imprecations, he finished by saying, “Don’t worry, at Eaux-Bonnes I’m going to quit. 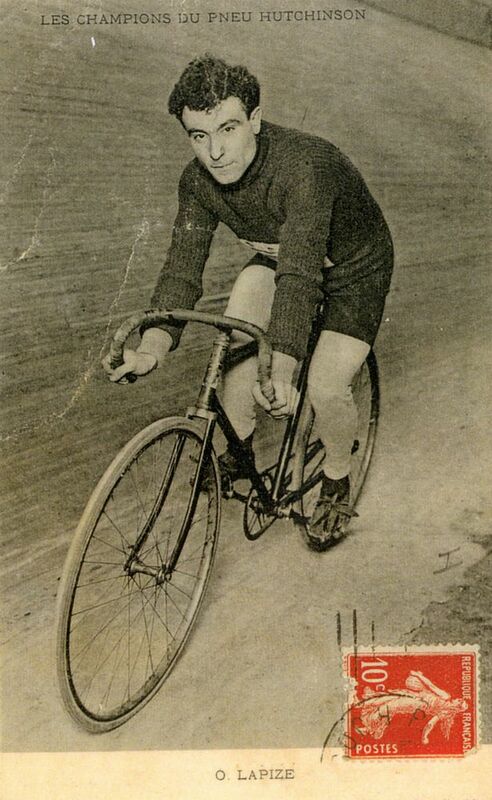 Octave Lapize went on to victory in the Tour de France that year. For Henri Desgranges the new mountain stages become a great success. 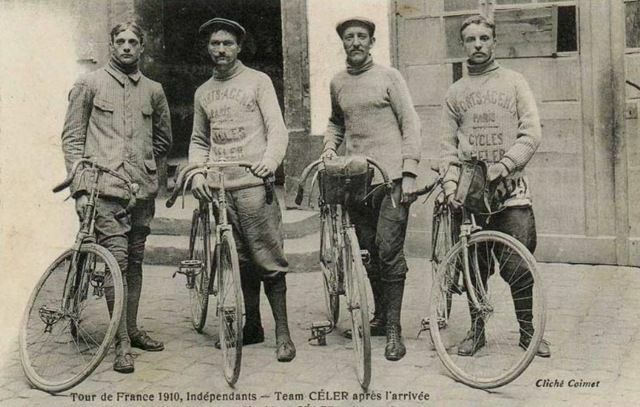 With the inclusion of the wild and dangerous Pyrenees and Lapize yelling “Murderers” at Tour officials, legend was born. The journalists of l’Auto contributed to the legend by naming the route from Col de Peyresourde to Col d’Aubisque “The Circle of Death”. Where hopes of Tour de France immortality go to die. Where wild bears roam the cols. Where men are broken, emotionally, physically, spiritually, totally. Where a champions rage drove him on to victory. The Assassins of the Circle of Death. 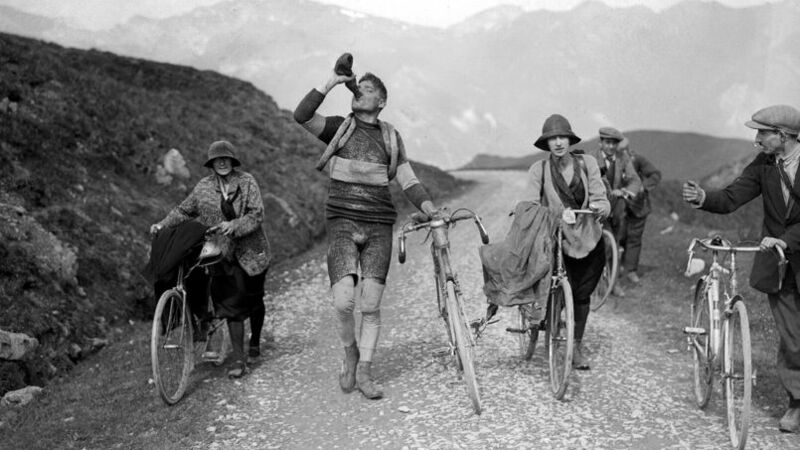 Over 100 years later, hundreds of thousands of cycling fans will line these same roads each July. They Will spend days and nights camped out in the blazing sun or the pouring rain and snow. Just to get the briefest glimpse of the legends of the road. Hundreds of millions of others will watch on TV, mesmerised by the riders, the fans, the mountains, the roads. The Circle of Death. Col de Peyresourde, Col d’Aspin, Col du Tourmalet, Col du Soulor and Col d’Aubisque. 326km on gravel. starting in the dark and for some finishing in the dark. Hard men! Make today’s riders look pampered. Even Paris Roubaix is 268km, 200 km on tarmac and it’s flat. Savage. You run a great website & blog. I will have to make a trip to ride these cols.